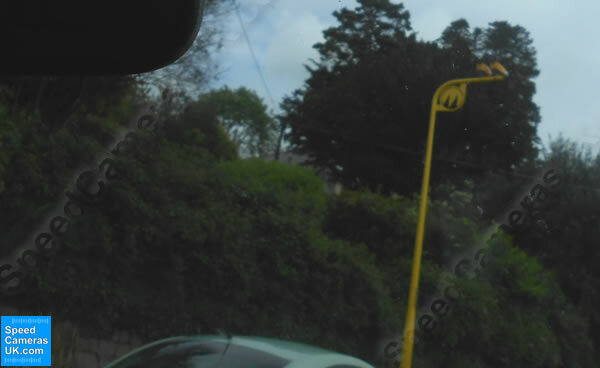 Throughout the speed camera database we are adding photographs of speed cameras locations. To make this a reality throughout the database we need your help. 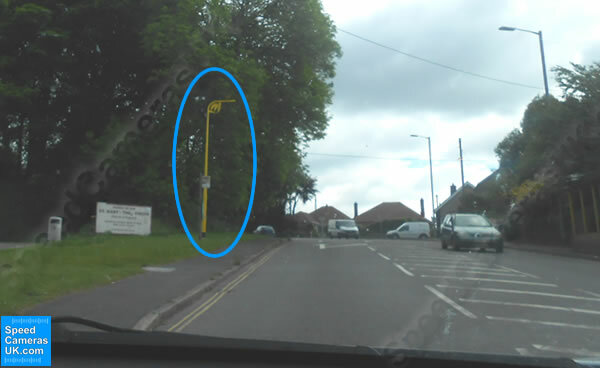 Pictured right is a speed camera location page complete with photograph (highlighted with red border) of approach to speed camera location. Adding photos makes the online database of speed camera locations even better, but we need your help to make this a reality across the UK. Got a smartphone or digital camera? Then you are just a few clicks away from helping us, help you and other motorists easily identify the locations of speed cameras across the UK. IMPORTANT: It is a driving offence in the UK to be driving whilst also operating a smart phone or other similar electronic device. We therefore STRONGLY suggest that you don't operate any device while driving. We recommend a passenger take any photo/video, or that you pull over first of all and turn your engine off before photographing or filming any speed camera location. When taking your photo try to get some foreground into the picture too, this will allow a driver/passenger time to read the road (see examples below). Once you have captured your image(s) simply e-mail it to info@speedcamerasuk.com with the speed camera reference number i.e. camera reference number: EEC034 to which the photograph relates. Please note: You'll find the camera reference number on each speed camera location page underneath the 'Speed Camera Details' section. When emailing we recommend that the file size is no larger 5Mb, if you have multiple images to send please send via individual emails and please don't forget to include the camera reference number that the photo(s) relate to. Thank you for taking your time to help us. Example 1. SPECS average speed check zone on the A1 in Cambridgeshire (camera reference: EEC034). Traffic moves at up to 60mph on this section of the A1. When taking a photo it's worth getting some foreground and street furniture into the photo to help other motorists spot when the camera is coming up. Here a large sign with exit for 'Southoe' is included in the photo. The SPECS appears some distance in the road, but driving at 60mph, you'll soon be driving through the average speed check zone. 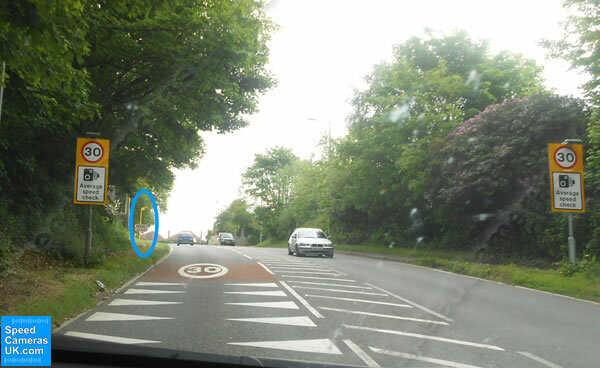 SpeedCamerasUK.com has added the blue circle around the speed camera. Example 2. 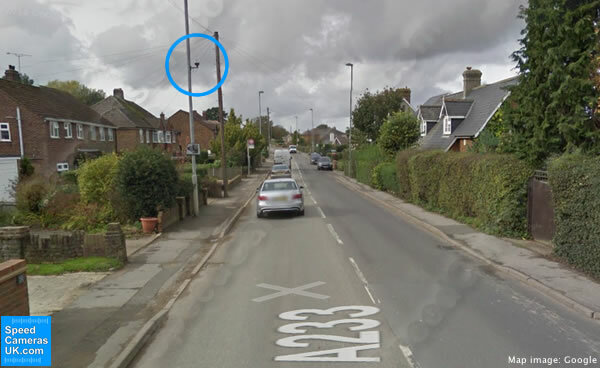 VECTOR speed camera sited on lamppost in Biggin Hill, Kent (camera reference: SEK010). Some foreground is included in the photo. 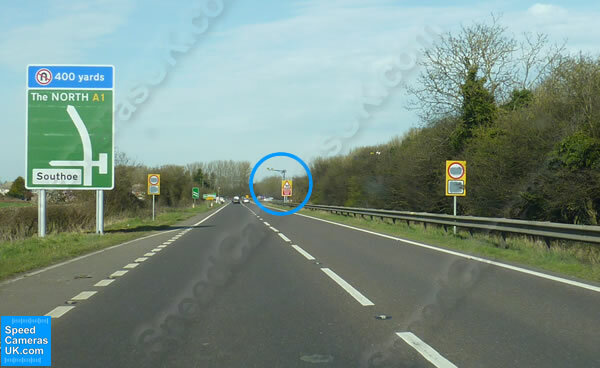 SpeedCamerasUK.com has added the blue circle around the speed camera. Example 3. 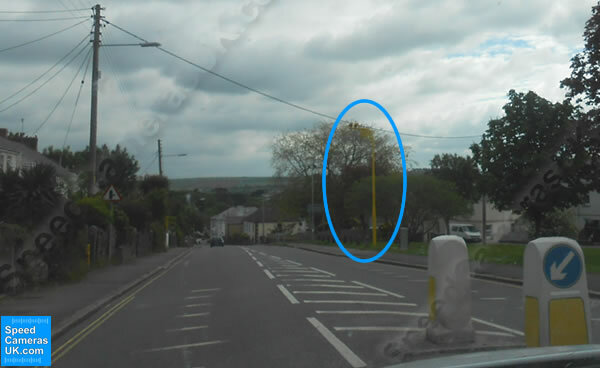 Series of VECTOR speed camera sited St Blazey to St Blazey Gate in Cornwall (camera reference: SWC028). 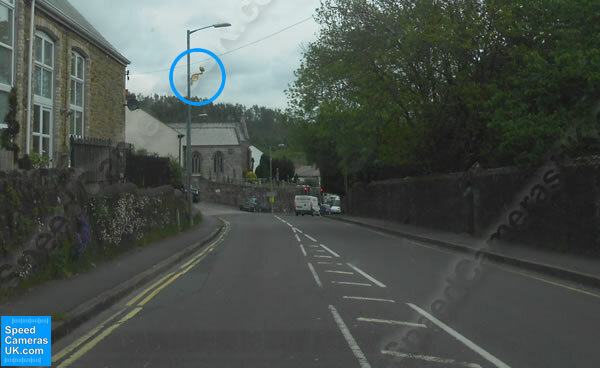 A series of photos were sent to us, so we included them all on the speed camera location page, as pictured below. 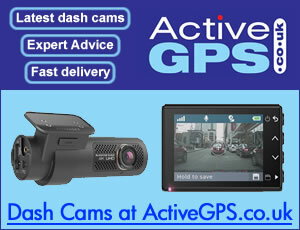 SpeedCamerasUK.com has added the blue circle around the speed cameras.